/* This file sets configuration parameters for the MINIX kernel, FS, and PM. 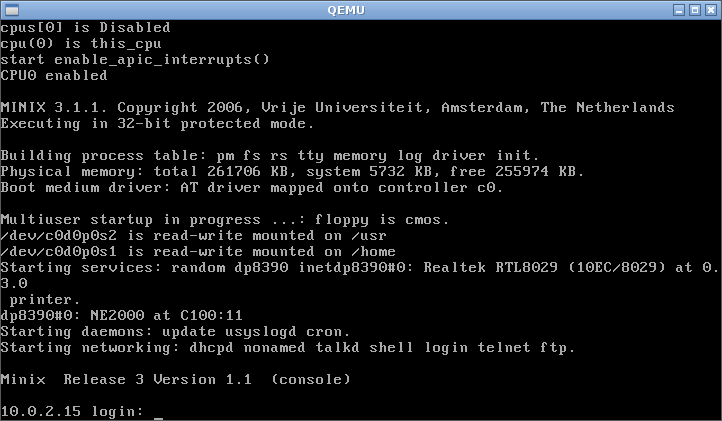 +error "ENABLE_MP: multiprocessor only avaliable for intel architecture"
/* MINIX is now ready. All boot image processes are on the ready queue. * Return to the assembly code to start running the current process. * interrupts to prevent race conditions.